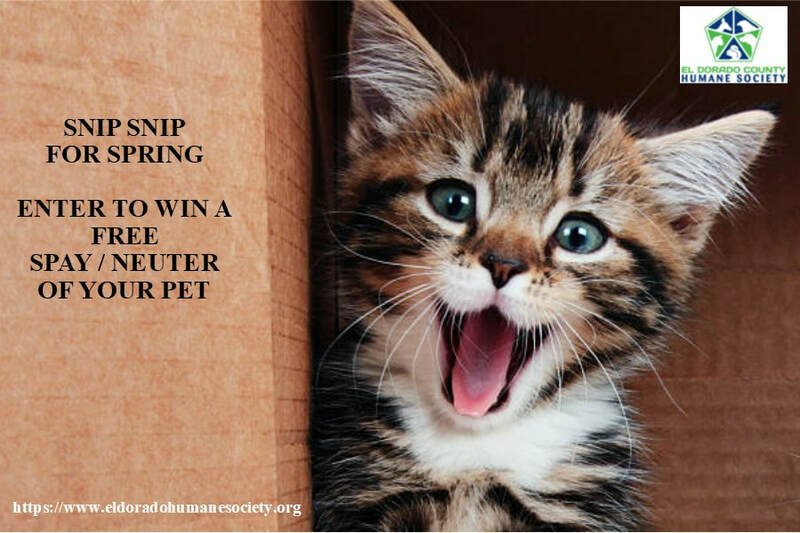 .To promote spay/neutering your pet this spring -- EDCHS is holding a drawing for one lucky person to receive a free spay/neuter service of your Dog or Cat at our partner clinic in Diamond Springs. Share the Facebook post on your own page that announces the drawing (pinned at the top of EDCHS Facebook page). 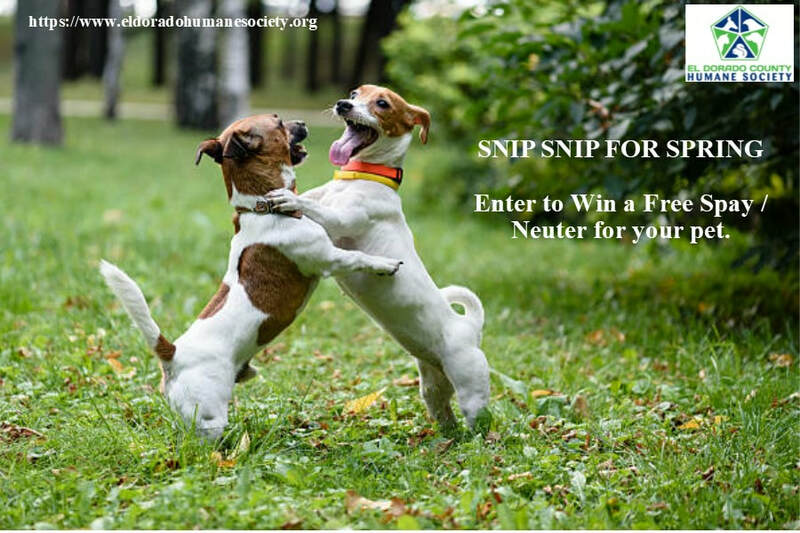 In April, we will draw the name of one winner, whose pet spay/neuter will be sponsored by us. You must like/follow our Facebook page and Share the announcement of contest post to be eligible to enter the drawing. Vaccinations and/or any other veterinary services will be at the pet owner's expense. Appointment scheduling and transportation to/from our partner clinic for Spay/Neuter will be the responsibility of the winner. Multiple family members may enter to win as long as they have individual Facebook accounts to meet he criteria for the drawing.